Just 26 miles west of Ridgedale on Highway 12! 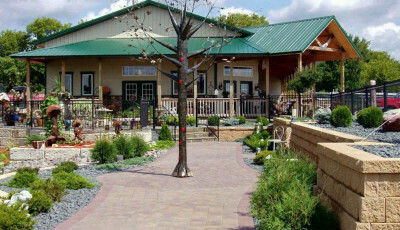 The Mill Pond is not only a great place to find unique garden art, hand-crafted iron work and landscaping materials – it’s a destination spot! Bring the family and browse our 4.5 acres of landscape vignettes all around the property. 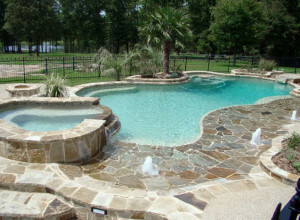 You’ll see custom iron work, retaining walls, water features, Koi-filled ponds, and more. Each pathway leads to another discovery… and more ideas for your own back yard. Visit us soon – we look forward to seeing you! 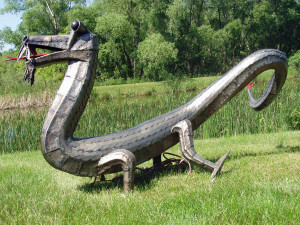 Find unique garden art at The Mill Pond. 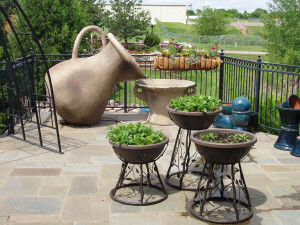 Add interest to your garden and landscapes with great sculpture pieces, water fountains, large pots and planters. We create custom iron work pieces unique to every project that help bring any idea into reality. Come out and let us create that signature piece for your landscape. 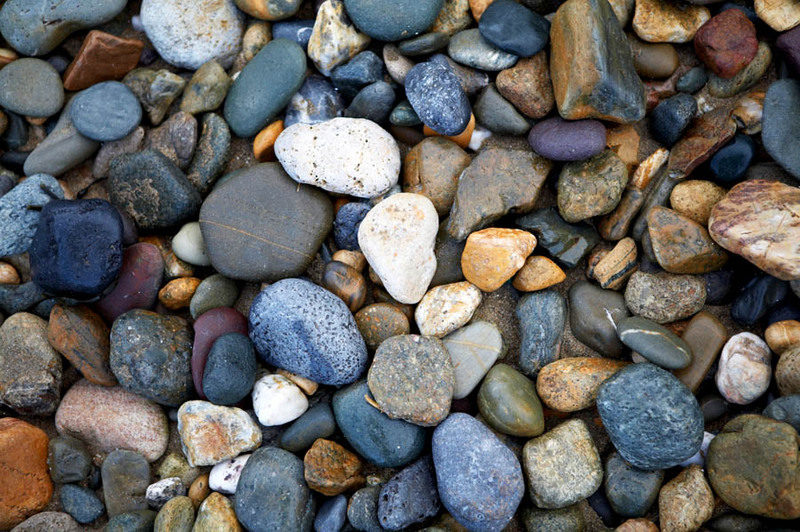 Our knowledgeable, helpful team, combined with our superior products and endless variety of landscape materials, will help you create your own outdoor retreat.